A kitchen is the heart of a home, whether big or small, the kitchen is the hub of the home. It is where the meals are created to fuels the bodies, minds, and soul of family and friends. The kitchen was designed for preparing and cooking meals. However, these days the kitchen has slowly morphed into the epicenter of the home. Gone are the days where the kitchen was a small dreary room hidden away from sight. Nowadays, homeowners are embracing open plan spaces, where the age-old rules and roles of separate living room, dining room, and kitchen are constantly being rewritten. As a matter of fact, in most modern homes the kitchen wears many hats. It is where we cook; where we eat; where children do homework; where you have a cup of tea or coffee while bantering with friends; where you share a glass of wine with your partner; where countless good times are shared over good food – it is where everyday life is lived. Imagine that there is a house for sale in Seremban, and you find that the kitchen is not to your taste, or even worse, completely bare. So, you decide to remodel the kitchen. You might find yourself at a loss when faced with the hundreds of choices available in terms of interior design and décor – you might not even be sure of the fine details associated with each design style. Whether designing a new kitchen from scratch or upgrading an existing kitchen, we all tend to face hurdles when figuring out design ideas we would like to commit to. In today’s guide, we have compiled a number of design styles to help guide and direct your eye. 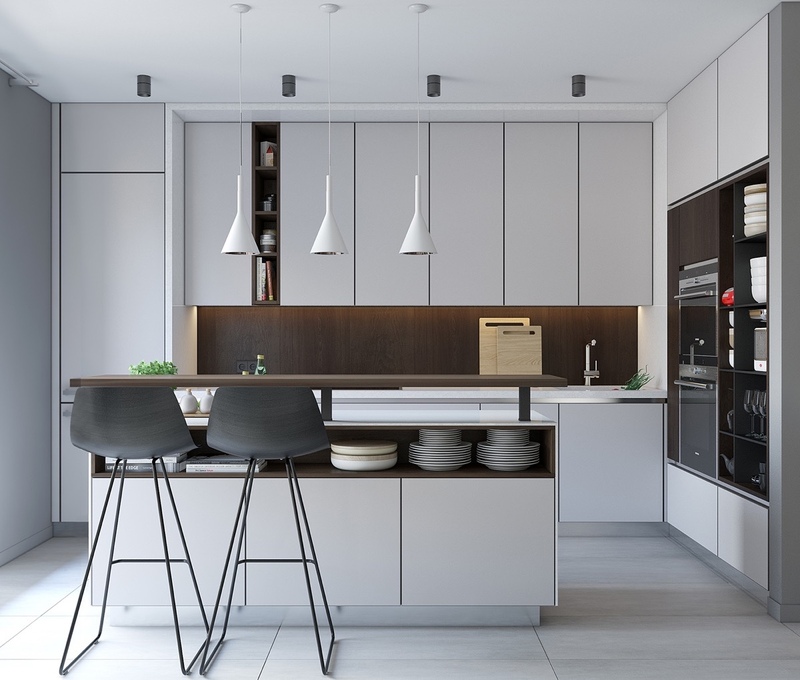 The definition of “modern” may vary according to different people, however, all modern kitchens have the same signature style that celebrates structure and grid – think sleek, simple, sophisticated. Think about strong horizontal lines, reflective surfaces, frameless cabinets, fuss-free hardware, industrial elements and the bare essentials. Modern kitchens tend to be clutter-free and minimalistic, with everything kept behind closed cabinets (or doors). The lack of ornamentation will help let the beauty of the design and natural materials shine through. Colour palettes tend to skew towards neutral colors such as white, black or grey. 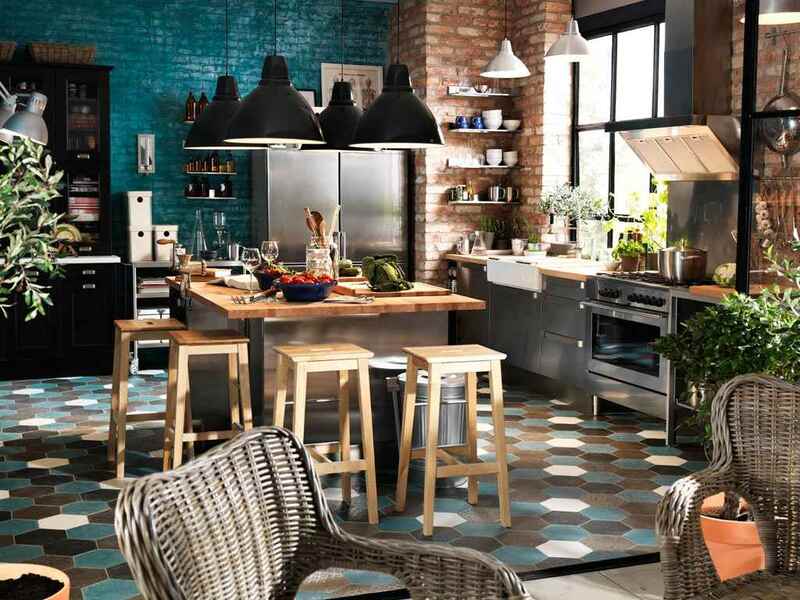 However, you can also introduce strategic pops of color and eclectic accents to put your own spin on the design. Certain splurges such as marble countertops and elegant lighting can give the modern kitchen an extra, luxurious touch. 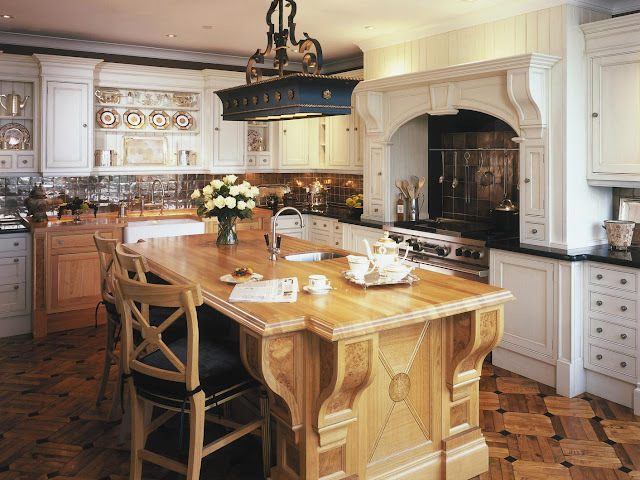 Traditional kitchens are defined by classic design elements and an attention to detail. Think of Old World charm when it comes to the design. Architectural details that are formal and ornate – such as arches, beam ceilings, decorative moldings, and corbels – are the key features. 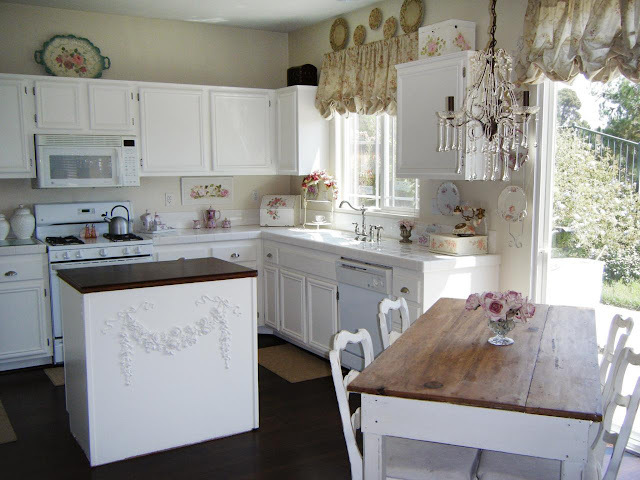 Traditional kitchens are full of embellishment and adornment everywhere you look. For example, you will see raised-panel doors, decorative carvings on cabinets and furniture, glazed and antique finishes – in other words, the direct opposite of minimal. Cabinetry tends to be framed, with flushed inset, raised panels, and even exposed hinges. All these decorative elements serve to add visual interest as well as depth and perspective. However, be sure to keep the decorative details layered and well thought out, otherwise, it might get a bit overwhelming. The defining signatures of a country kitchen are open and inviting spaces. There is a focus on natural materials and good, steady craftsmanship. In terms of design features, think of open shelving, wide and deep sinks, freestanding cabinetry, and don’t forget the most important feature of all – a large kitchen table. A fireplace expounds upon the idea of the kitchen hearth. Although it seems a bit odd in Malaysia, it can add an authentic touch to your country kitchen. It can be purely decorative if it cannot be functional. In terms of décor in a country or farmhouse kitchen, the focuses are on on eclectic finishes and mixing-rather-than-matching furniture based on warm primary colors and aged hues. All this helps to help create a spacious, warm, comfortable and lived-in feel that will let you and your guests enjoy the feeling of a countryside getaway – even if you’re located in the midst of suburbia. There is a certain warmth and charm to a rustic kitchen that many will appreciate. Keep the focus on the rough – wooden décor, worn features, and rugged functionality. 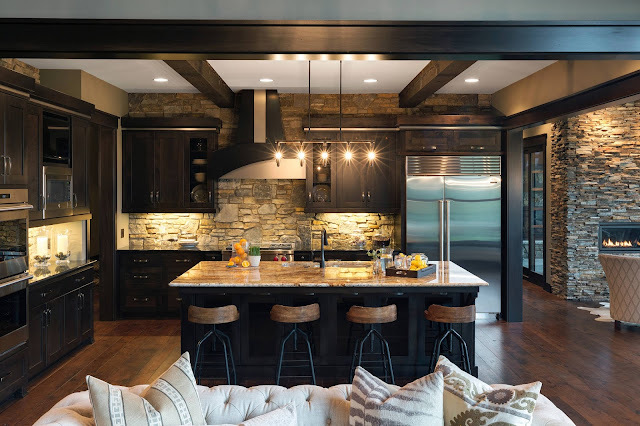 The rustic look will be dominated by materials such as timber beams, stone walls, slate floors, brick architectural features, bronze or brass finishes, and worn distressed carpentry. Furniture with warm hues made of elements that show their age will give your rustic kitchen an extra touch. Currently, in the interior design market, reclaimed wood is making a huge comeback, especially for use as tabletops or countertops. Remember that you almost cannot have too much wood in a rustic kitchen. They may not be conventional, but rustic kitchens are certainly capable of rivaling even the most classic and traditional kitchens in terms of popularity. Classic kitchens tend to be timeless, yet still flexible. If you are at a loss when it comes to defining your style, and are afraid of having too much style, a classic kitchen is just for you. Stick to more timeless details such as white or cream cabinetry. Keep architectural details simple and fuss-free. 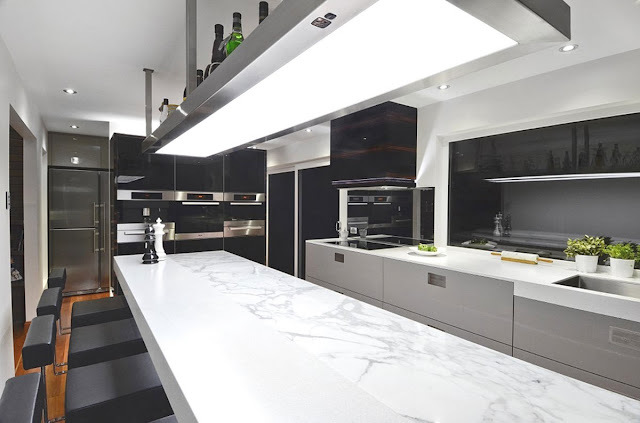 Countertops usually are either black or white and can be made of natural material such as granite and marble, or made of cast material such as quartz. Stick to something with a neutral design style – not too modern and not too ornate. Think of your classic kitchen as a chameleon: you can keep the bare bones of the kitchen neutral and simple (that’s the base), and still be able to change the look by mixing in other tangible elements such as more traditional furniture or even modern light fixtures (that’s the accents). You get the idea – a classic kitchen is one that can adapt well to any style of furnishing that you throw at it. Transitional kitchens are for the in-betweeners. If you don’t want to confine yourself to a definite style, or your taste spans two, a transitional kitchen may just be the perfect choice for you. Think of it as the moderator, where you can blend the warmth and welcome of traditional design without the ostentatiousness together with the clean and simple lines of modern minimalism without it looking too industrial and clinical. Try interpreting traditional details in a more contemporary way, or vice versa. 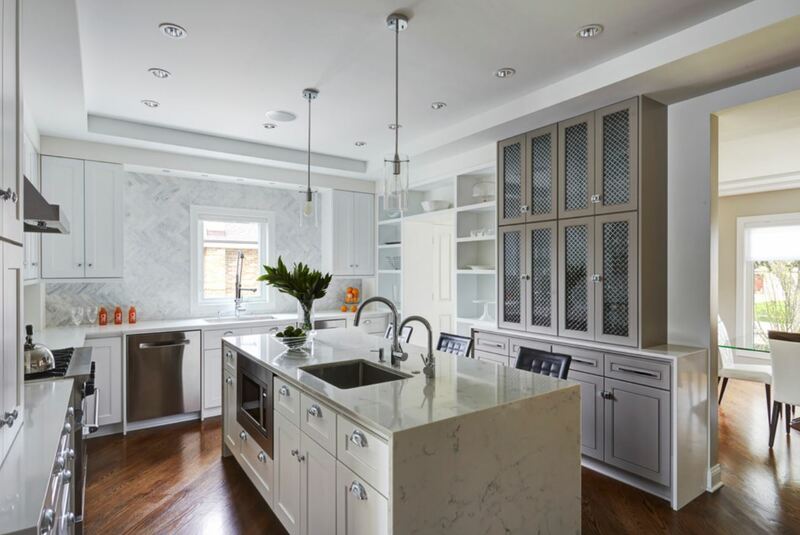 Look for crisp streamlined cabinetry made from more traditional materials. Natural surfaces – such as granite or marble – are also a good way to balance two different design styles at opposing ends of the spectrum. Remember that any feature or design can be well-suited to translational design ideas as long as it is versatile. Tired of sticking to strict rules of interior design? Throw all those predetermined notions of design out the window and mix and match as you please. If you are a rebel with a cause and refuse to be pigeonholed, go for an eclectic design style that will surely showcase your out-of-the-box personality. However, proceed with caution as eclectic done wrong can look like a chaotic mess and mod podge that makes no sense whatsoever. If eclectic is the look you are going for, try to make it look like your kitchen has been collected over time. Even though this may be one of the hardest design styles to achieve, eclectic if done right oozes a sense of effortlessness and confidence.